The ULTIMATE Vertical Training Program! Start DUNKING! 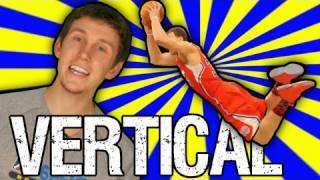 Today's video is the PART 1 of our introduction to "Increasing your Vertical Jump!" Part 1 deals with "Mobility/Flexibility" and "Stability," which are VERY important and generally overlooked aspects of increasing your vertical. Part 2 will deal with building "Strength/Mind Muscle Relationship" and generating game-speed "Power" to launch you into the air! We'll be adding in TONS of new Vertical Increasing Exercises, so you can build your OWN JUMP PROGRAM! How To Jump Higher Shot Science Vertical Jump Training Program Part 1 ... How To Jump Higher Shot Science Vertical Jump Training Program Part 2 Video Clip. How To: Instantly Add 5+ Inches to your Vertical Jump! Jump Higher! How To Shoot A Basketball Perfectly! How to Jump Higher than Michael Jordan & Lebron James!